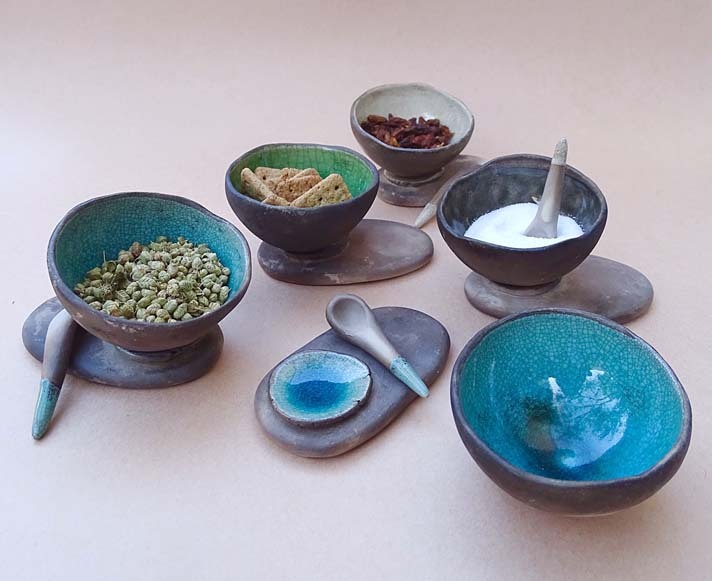 Charming Raku fired herb bowls available in turquoise, green, cream or black – please specify your preferred colour(s) on checkout. 1 pot, 1 tray, 1 spoon. Each set is Raku fired and food safe (lead-free).